This giveaway is now closed. Congratulations to Megan! Hazel for under $60: One tip that we all live by is to shop in every department, most of our boys pants are from the girl’s department, and the boy’s section usually has great tees, sweaters and cardigans that would look darling on a little girl. Another great thing about Old Navy is there is virtually always a promotional sale going on either in-store or online, and markdowns happen every quarter. Maybe the best thing of all are Old Navy Gift Cards, are we right? If you’d like $100 to shop Old Navy, leave a comment below! The winner will be chosen next Thursday October 18th, at 5:00 am MST. 1. Follow Small Fry on Facebook, Twitter, Instagram and/or Pinterest. 2. 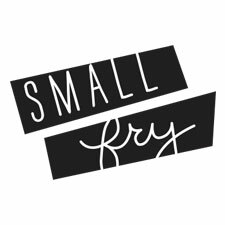 Link Small Fry (@smallfryblog) in a tweet, Facebook or new blog post. 3. Instagram a picture of your favorite kiddo’s ensemble and mention @smallfryblog. I totally agree with shopping in every department. Boys sections usually have those nice neutral colors that you can’t find in the girls sections. I got my baby girl a couple sweatshirts from the boy section at target and they’re my favorite! Nicole this blog is perfect! This is a masterpiece and I am so excited to read it! I have a pinch of a mom crush on each and every one of you:) keep on keep keepin on…please. Love love this!! Cutest post!! Love you guys! What a great giveaway! Your blog is so darling, not to mention the kiddos! Cheers to motherhood! We get many of my daughter’s clothes at Old Navy! They have the cutest styles. I love Old Navy for my whole family! Thanks so much! I love Old Navy for my little boy and am always shopping the girl’s department for his pants! Would love to win this! Old Navy is my go to store…for me and my kids! love love love this! Im having my first baby in march and love the idea of shopping for boys pants in the girls department. take the frump out of boy clothes!!! We shop here so often. Those outfits are too cute!! I love the little boys sweaters and cardigans for my little peanuts – Lulu and Naomi. Lulu is loves rockin her dino tees that she picked out her self. I say let the kids shop for them selves then we never have an issue getting dressed, they already love what they chose. Oh and I follow you guys on Pinterest, twitter, and Instagram! I love the colored skinnies! So cute on both boys and girls! Love old navy for my little lady! I love Old Navy’s kids clothes! I would love to win this giveaway. Love the yellow skinnies! Almost all of my son Recker’s pants are girls gap or h&m. I’ve never tried old navy but looks like I’m going to have to! Gimme that gift card! We all want our boys to look like the Small Fry boys. Would love to have this outfit for my son! Super cute! I deserve the 100 dollars because I’m a strong working American woman who cares about her country, her neighbors, diet coke, and old navy. I support you guys more than an athletic supporter, and I’m your number 1 fan, and i follow you on all of the above! Choose me and I’ll prove to you that I am the best candidate for the job! I won’t let you down! Love Old Navy! Just was in there looking at all the cute winter stuff for my little guy. Love the blog ladies!! Love Old Navy for the style and durability of their kid clothes! what an awesome give away! I follow on fb. Your blog is darling, I can’t believe you all have two boys. Love Old Navy!!! That is where I get my girls clothes!!! Love the giveaway!! Hope to win! My two little guys could definitely use a wardrobe update. Can’t walk away from a chance to win $100 Old Navy bucks. Love the blog, love all the babies … especially love that Hazel. What a great giveaway! I definitely need to shop for some warmer clothes for my little guy. And those outfits are great inspiration! This post is amazing and those outfits are adorable!!! Love it all. And an Old Navy gift card would definitely brighten up this rainy Friday! I would love to win this! Huge old navy deal shopper right here! And I linked up on FB!! I follow the blog and facebook and the pinterest. So adorable! I love Old Navy! Love this blog and the new segment! I already follow Small Fry on Facebook, Twitter, Instagram and just started following on Pinterest. You are such talented ladies, I don’t know how you do it all! Want it! Love these kiddos. Could those outfits be any cuter?? We love old navy! cute post. gotta love fashion tips and old navy! Awesome! We love Old Navy! Love Old Navy. We buy lots and lots of kids clothes there. Love your blog! Such a fresh and pretty concept! Love this giveaway as well! Keeping my fingers crossed. YES! I love these kid fashions! And this blog. Old navy is the best! Love this blog and love these cute outfits! Pick me Pick me!! I also follow you on IG and Facebook! Love it all!! I love how you all dress your kids. I would love to see you guys post about kids outfits on a regular basis! oh yes i would like! and i just found your blog–i’m loving it. You girls are so darling and have the best & cutest ideas! I’m so glad you’re sharing them! I love the idea of sharing child fashion. Gabriel is my 1st little one and I’m learning how to dress him. Winning the gift card would be awesome, especially since his birthday is next Friday! Love how each outfit is put together! Sure could use this on my three girls! It’s starting to get cold and my boys could really use some fall clothes. We love Old Navy! You’re blog is so cute, I’d love the old navy gift card and I liked small fry on face book. Dash & Hazel are so trendy! I do 90% of my shopping for my 15-month-old at Old Navy. They have great trendy pieces without the high prices of the Gap. Thanks for this giveaway! I love shopping in all depts. Love your blog and love the ideas of course! I am already following you guys on fb and instagram!! What an awesome giveaway. We love old navy! Sure… I would love $100 gift card. And I like you on FB of course! Love this. I think my boys would adore to get some new clothes (most of what they own are hand-me-downs from people). How exciting. I do follow you on facebook too and now twitter as well! I agree old navy has some gems quite often. Fantastic post! I look forward to more fashion posts. Love it. I love the site and of course the giveaways!! Thanks for starting the fashion weekly posts! I already follow on Instagram. I liked Small Fry on Facebook. And I tweeted this giveaway. Love old Navy! What a fun giveaway and great blog. Hey ladies, forget dressing my little bud….want to dress me?? Just kidding….but seriously, I love your individual styles and your kiddos’. (Following on FB). Just facebooked about this without even knowing it would enter me in the giveaway! win win. I love oldnavy and smallfry!!! Oh you know I got to get in on this possible $100 shopping spree! So cute. Love love love old navy! I like you on facebook, instagram, and and twitter. i’ve just started to love old navy again.. for my one-year-old. loving their girls skinny jeans for him! Love Old Navy – didn’t know they carried such cute little kids’ clothing! I love stumbling in to new blogs, new fan of yours. Loving those colored skinnies on both kiddos!! my little man is 9 weeks today and rocking his skinny jeans/leggings from the old navy girl’s section (WOOT). fingers crossed! For the insta entry, are you looking for a picture of our child wearing only O.N. stuff? LOVE, LOVE, LOVE O.N. stuff for my kids!!! Love your blog. Am excited about the giveaway! I followed on twitter, pinterest, and fb. I now follow you guys on FB and Pinterest! I now follow you on interest. Have been following you on fb since the beginning. Now just to figure out instagram. Old Navy has really great kids clothes. I could do a lot of damage er, good with a gift card:) I liked you on Facebook and followed you on twitter, pinterest, and instagram. Holla. Just mentioned you on Facebook!! following on facebook, pinterest, twitter and instagram! I’m absolutely loving this blog! It’s amazing! I’m following on Facebook and Insta! Love Old Navy for my boys!! This would be the best Birthday present to me (Oct. 18) and I would use all the $ to spoil my little girl! Love me some Old Navy! Linked Small Fry in a facebook post! Keep these amazing posts/ideas coming! fingers crossed! those citron skinnys are too much! Really adorable pictures 🙂 Thank you for the giveaway! very cute looks! i love it. Love the coloured skinnies, would love to win! I’m loving your blog! I’m a Facebook/twitter/pinterest fan and have been following via instagram. I also just tweeted about you guys. Keep up the great inspiration! I follow on insta and FB and insta! Love this blog. Love this outfit and this new series!! I am absolutely loving your blog! That boys outfit is precious, I would have to be brave to dress my own little guy in those citron jean, but I do love them! Old navy is one of my favorite stores! 100 bucks to spend at old navy? yes please. ps i haven’t commented on anything else yet but i’ve been meaning to tell you guys how much i love this new blog of yours. definitely just started following you guys on pinterest tooo. Love Old navy. And these outfits are too cute. Old Navy is my go-to for everyday items like baby leggings, socks, tights, etc. Every time I go I end up with something I didn’t plan on for my little girl, their clothes are too cute! I would love to win this giveaway for my little guy. I am such a fan of your amazing blog! With 4 kids, ON is usually my go-to stop for all their basics. 😉 I could really use a $100 GC! Liked small fry on Facebook. All three of my children love wearing Small Fry which makes it easier getting ready in the morning. The best thing of all is they look adorable too. Thank you Small Fry and Old Navy! My daughter Lily needs that outfit! So cute! I already “liked” you guys on facebook and I just posted about it on fb too. Just “liked” you on FB now too!! Love old navy! Especially for my boys! I was just at Old Navy last night and was lucky that I had a time limit. I probably would’ve bought the whole store! EVERYTHING was darling! Yay! For this and fall fashion! Great colors and prints! I don’t have children yet, but I couldn’t help but to buy couple of things for my future littles yesterday when I made a pitstop at old navy! They really do have wonderful things for such great price! yay i’m so excited for these fashion posts for little guys! i’d love to do a little damage at ON for my two boys! … and i’m following on Pinterest! What a great idea! I never think to look in the boys section for my daughter! I am following on instagram (kwalk106) and on pinterest! I think this might be my favorite blog of all times. So fun that you guys are doing this, and I LOOOOOVE the style! So excited to follow. Awesome! Love the styling on your little mister! I love Old Navy for my lanky boy. Their skinny jeans are the only ones that stay up without a belt! I love these looks and I love that they come from Old Navy. I will definitely be looking to Old Navy for fashionable, affordable options for my baby on the way. Oh my goodness, I am going out & buying that outfit for my little guy and gal TODAY! Those are great! And fabulous giveaway too! Loving your blog! And I always find great things at ON. My daughter’s purple skinnies are the best! i love old navy. and with 4 boys pretty close in age i need all the clothes i can get! Yes! a fashion post is what i’ve been waiting for! Its so hard finding cute clothes for my kids. So glad I found your site!! I would LOVE $100 to shop at Old Navy! Thanks for hosting a giveaway! I follow Small Fry on Facebook and Twitter! So glad I found this sight! Having my boy at the end of January and can’t wait to dress him up! Cute kids, and such a fun blog! I just discovered your website and it’s beautiful. Plus, I love those yellow jeans. They’d look great on my Dash. Both are wearing such cute outfits just found your blog and i am loving it! Thanks! I love Old Navy and both of those outfits are so cute! Skinny jeans on kids are the cutest! Following on Instagram and Pinterest! Love your pictures! What a great giveaway! Who doesn’t love Old Navy?! I also follow on twitter, Facebook and Instagram! How fun! can’t go wrong with a gift card! I always look in the boys section for my daughter! No need to limit cute. I find such great clothes at Old Navy for my little girl. I’d love to win a gift card! I’m following on Pinterest and Facebook – love your blog! We could never turn down some cute Old Navy clothes! I’d love a old navy gc… it’s the only good store in my small town. your newest, happy instagram follower! I would love to win the giftcard, I love Old Navy! Your blog is great. Thanks! I love your site! I would love to win some Old Navy for my little one. Continuing to love and share this blog! LOVE old navy…a gift card would be awesome! Thanks for the great giveaway! now a pinterest follower too! I LOVE the new blog and all your precious kiddos! It would be amazing to win the Old Navy Gift Card. I “like” Small Fry on Facebook and follow on Pinterest! Thanks!! Just found your blog today via Sometimes Sweet and I want to devour the archives! Can’t wait to follow on Pinterest too. OK, I’m seriously obsessed with you guys. I have a little guy too, and think boys are the cutest things ever (definitely not biased). I was already following you guys on Insta, I now follow you on FB and I posted about you on facebook, and just need to pick a fav outfit for my little one and tag you. Old Navy has gotten the style memo this last year! I’m also following on Instagram and Facebook. I also posted a pic of Gabriel in his outfit on Insta. Great outfits! I love Old Navy and would love to win a $100 gift card! I am now following you on Facebook, Twitter, Instagram and Pinterest! I love the way these kids are dressed! Thanks for the chance to win this giveaway! I follow you on pinterest, twitter and facebook! You have literally opened my eyes! I would’ve never thought to shop in different departments! Genius! I am also now following you on facebook, instagram, pinterest, and twitter! Love Old Navy for my kids. Would love to win this giveaway. old navy is great for everyday solids! great giveaway! would love to win this for our baby girl! Love your style choices & would love to get some items for my little fries! Cute outfits. Love the fringy mocs! I have been loving every little detail from your daily posts & with our first little boy on the way you guys have been giving me so many great ideas! thanks. Can I just tell you how much I love this blog. It’s beautiful. I love shopping at Old Navy for kids clothes and I agree with checking out every department, it’s a must. I liked you on FB and follow you on pinterest. shared your link on facebook!! Haha! If they chose their outfits it would probably be sweat pants and light up shoes! Haha. old navy is my go-to place for affordable basics. love those cute outfits you put together! Completely agree with shopping for boys in the girls dept, and vice versa. Love it! Love your blog & the citron pants! Following on Twitter & Pinterest! We love old navy and their sales too! Love Old Navy for both my kids! (and for extra entries: Liked on FB! Following on Twitter! (SellCookieLee) Following on Pinterest! Need this gift card ladies! Liked you Mamma’s on FB, and of course I follow you on the IG. My son is in desperate need of winter clothes, so I’d love to win! Thanks for the chance! love these outfits, old navy pulling it out! You guys are just blowing my mind with this blog. It’s all so great and you are all such great mothers. Plus, this giveaway is great. Who doesn’t love Old Navy, right? I follow Small Fry on Twitter, Facebook, Pinterest and Instagram, too! Would love an Old Navy gift card – my favorite spot to shop for affordable on-trend baby clothes! I also followed you on FB, Twitter, Instagram AND Pinterest…I’m totally obsessed with your blog and I rarely read blogs anymore since I spend so much of my time writing them! LOVE. AAAAAAAND…Instagrammed a photo of a baby ensemble! those yellow pants are to die for! both of these children look amazing. bless old navy and their sales! Old Navy is one of my favorite places to shop for my baby Jude 🙂 I want to win! I linked you on facebook and twitter, too! Old Navy is my favorite place to buy clothes for my little girly! I find the best steals there! Love this! I just got some cute stuff at Old Navy, but I love your combinations! Love this! I just got some cute stuff from Old Navy, but I love your combinations! I am now following on FB, Instagram, Twitter and Pinterest! We shop at Old Navy a lot. Would love to win! I also follow/like on Facebook! Wait time out is this for real? Did I win? This is the most amazing day already and I am so stoked!!! Thank you smallfry sooo much I could literally cry I’m so excited! Thank you thank you thank you!!!! Your blog is my favorite! It’s so fun, unique, creative and all of you ladies inspire me! Thanks!! !